I hope you all had a lovely weekend. I am back with another freebie. I decided I wanted a calendar wallpaper for my desktop background and realised I had some freebies from Angie Makes which I thought I would make use of! So here it is below. I am quite happy with it, and I am making it available for you all to download! March has gone so quickly, and as it is my birthday in April, I wanted to have a go at being more creative. I am thinking about creating one for every month? Let me know. 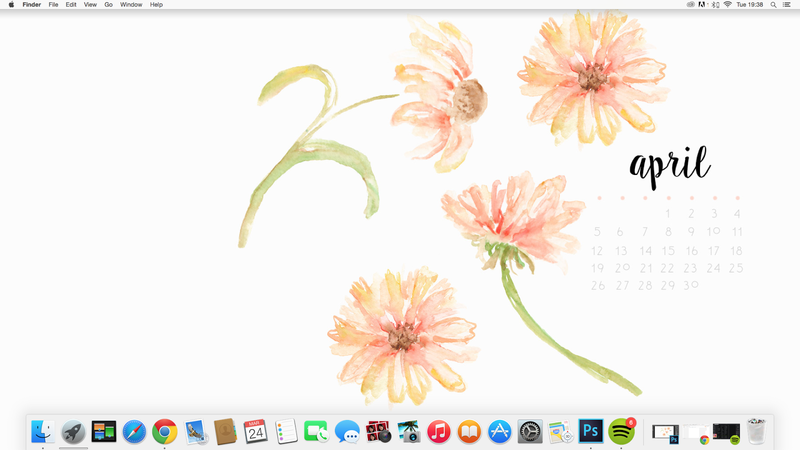 And below is what it looks like on my iMac. Happy times. Do not use for commercial use. Many thanks to Angie Makes also! 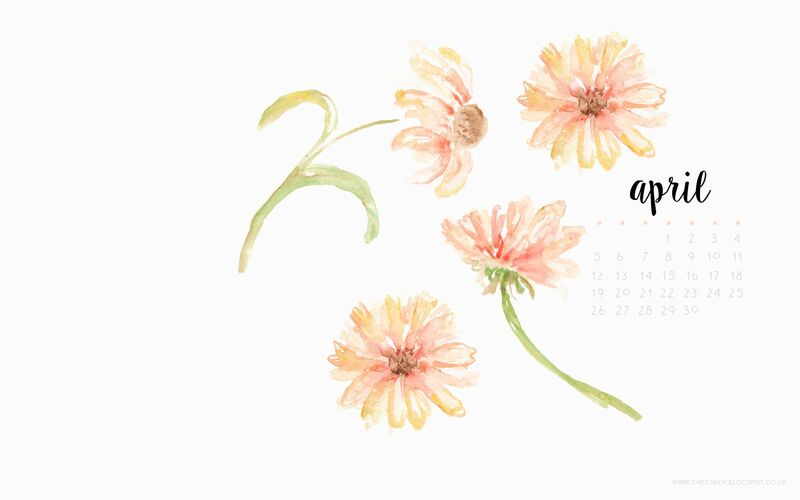 The Angie Makes artwork for that April Calendar Wallpaper is lovely, and so is the page you made. I hope your birthday in April is a very happy one. Thanks for the wallpaper it's beautiful. You should definitely make more.